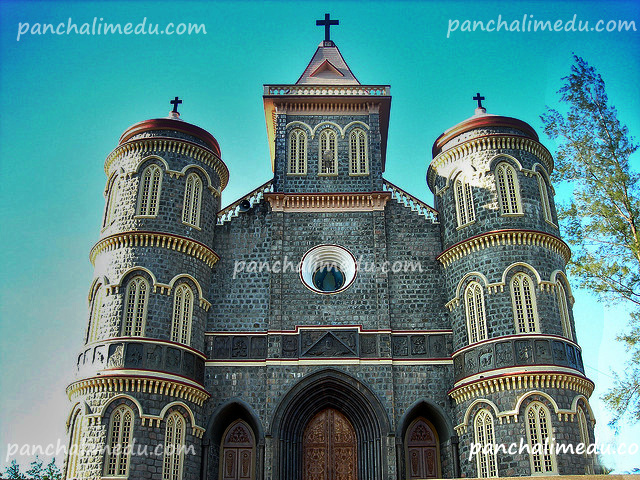 The Pattumala Matha Church is a famous Roman Catholic church in Peerumadu, near Pambanar, Idukki district of Kerala. The Church is dedicated to Our Lady of Good Health. It is served by the Congregation of the Missionary Brothers of St. Francis (CMSF). The church, which is built entirely of granite is a Marian pilgrim center. 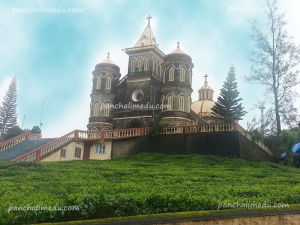 It is situated on top of a mountain surrounded by tea plantations. Pattumala means silky mountain. This was a place where silk worms were grown by the Europeans. It is surrounded by big and small hills with evergreen tea gardens. This place is 85 kilometers away from Kottayam town and 30 kilometers to the famous tourist center Thekkady (Kumaly). The spiritual atmosphere, the cool climate, the panoramic view of nature, quietness of the surrounding and uncontaminated air help you to have a soul stirring spiritual experience. 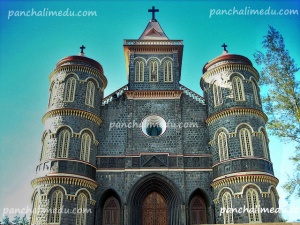 The regions surrounding Pattumala has a phenomenal beauty and this is a must see town when you are visiting Idukki district of Kerala. It is a picturesque place with an unending expanse of lush green tea plantations. Pattumala is blessed with a Vision of Blessed Virgin Mary to a family on 9th March 2008. The main offering of ‘Pattumala Matha’ Shrine is Silk Pattu and candle.